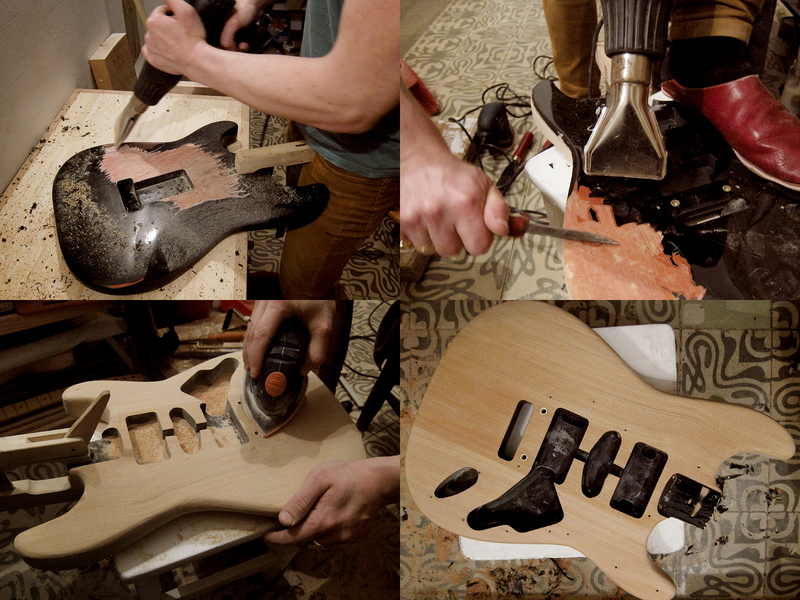 I never got around to mention this but a few months ago I helped my friend Wolf to strip his black Fender Squier Strat body. Everything went fine and it wasn’t too hard, well to be honest it was rather tedious and time consuming but the result was at least good in the end. We were pretty surprised that the body looked so good stripped with nice grain and all, I expected 8 pieces glued together and a lot of knots and crap and that’s why they chose to lacquer it black, but clearly not. Now he is going to burn in some nice country inspired patterns and then we will just ad a coat of clear lacquer. The heat gun worked pretty well for the black top coat, but there was a red coat under that was almost impossible to get rid of. In the end I used my Japanese Shinto saw rasp for getting through it, especially on the sides, no other rasp or file seemed to bite on it. Once we got rid of all the lacquer it was just down to a lot of sanding and reshaping the edges a bit that I occasionally went a bit hard on with the saw rasp. 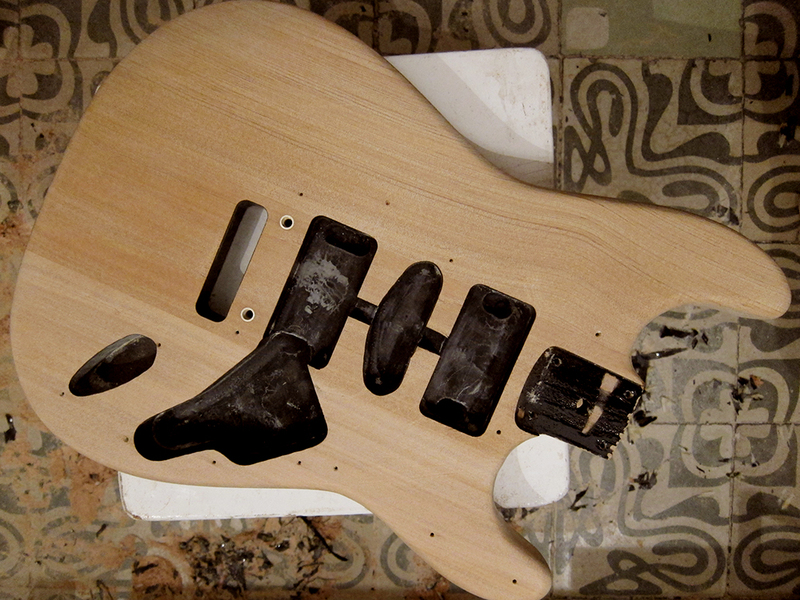 If you are tired of the colour of your guitar body it could be an idea to strip it but please be aware of the effort involved and that it will smell like burning napalm and toxic poly lacquer that will make you dizzy and freak out the cat. This way of using a heat gun and saw rasp works pretty well but it would probably have worked fine without the heat gun too and that way we would have skipped the unhealthy plastic fumes.